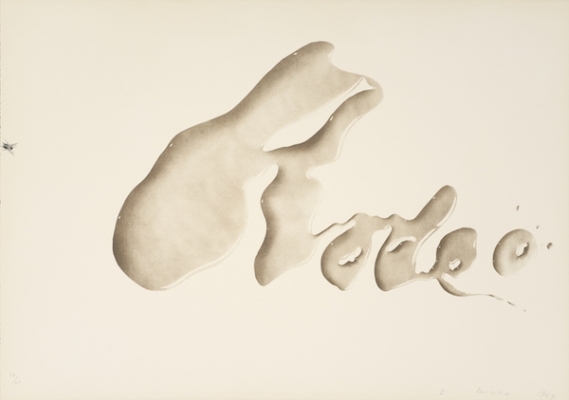 Ninety-nine of his works are now on view in Ed Ruscha and the Great American West at San Francisco’s de Young Museum. 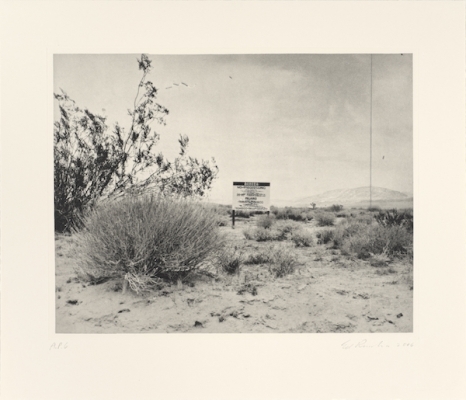 Visitors can take a visceral journey through the American West and the motifs that Ruscha found most fascinating and worthy of re-interpreting during 50 years of living and working in California. His notable captivation with landscapes is embodied in his depictions of sunsets with brilliant gradations of red, orange, and yellow. These often serve as backdrops for words or images that suggest the vastness of the western landscape and the enormousness of the sky. 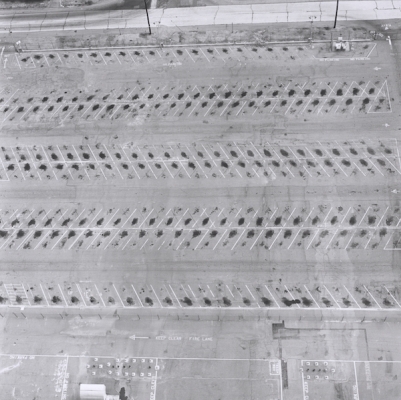 Ruscha has spoken of this connection between the sky and the character of the region, saying, “The East I associate with steel and industrialism; the West with space and sunrises and sunsets.” The gas station has also been an important element of Ruscha’s work, and a photograph taken in 1962, Standard Station, Amarillo, Texas, became the basis for several of his best-known paintings and prints. 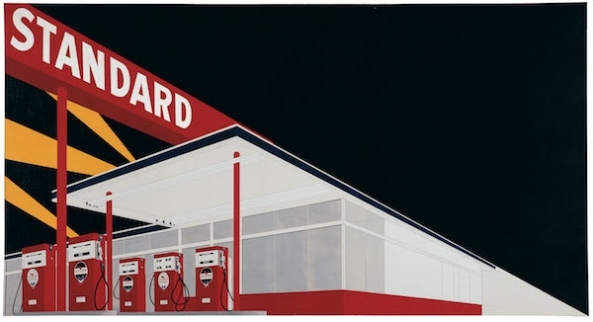 Ruscha also captured the changes in Los Angeles during the 1960s as it became a major urban center of the West Coast, while suburban sprawl and the construction of freeways contributed to its emerging car culture. 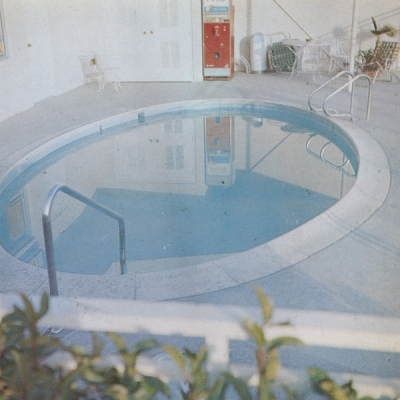 He took hundreds of photographs from its roadways in a kind of documentary style—empty lots, apartment houses, and buildings along the Sunset Strip—and used them to create photographic books that were part artistic investigation, part visual travelogue of the eccentric and banal places in the city that had been built around and for the automobile. Other works comment on the city and its cultural touchstones, including his famous “Technicolor” renditions of the Hollywood sign, and other subjects that symbolize the romantic aura and excesses of the film industry. Angela Bilog, a Los Angeles native, is the Content Marketing Manager at the Fine Arts Museums of San Francisco, comprised of the de Young Museum and the Legion of Honor. 1. 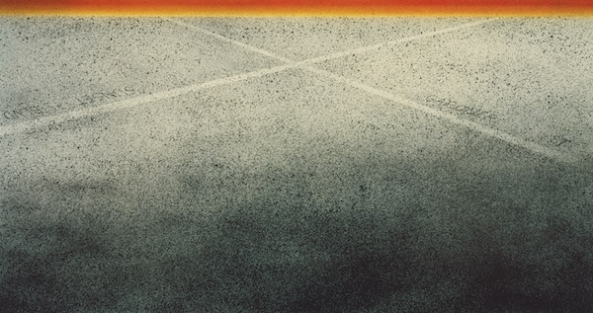 Ed Ruscha, "Rodeo," 1969. 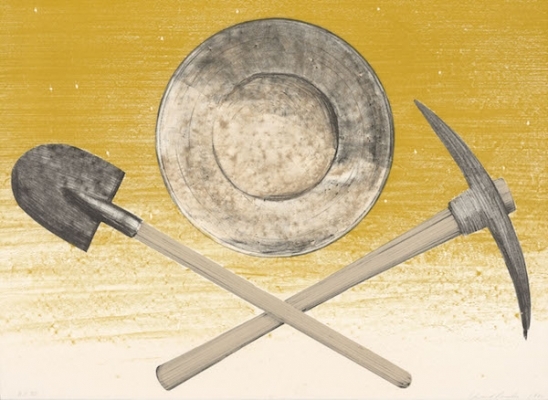 Courtesy of Fine Arts Museums of San Francisco, Mrs. Paul L. Wattis Fund, 2000. 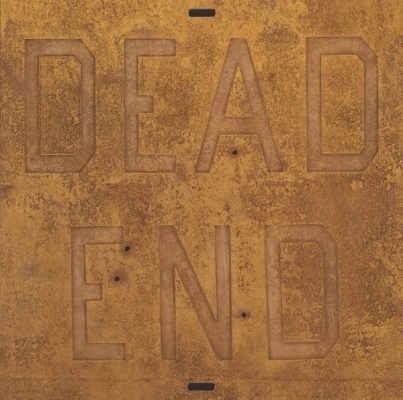 © Ed Ruscha.